Pazzo! is a special restaurant, but it is more of a feeling than a place. With Sienna washed walls, dark woods, and bright smiles, Pazzo! creates an atmosphere that is at once casual, relaxing, and fun! 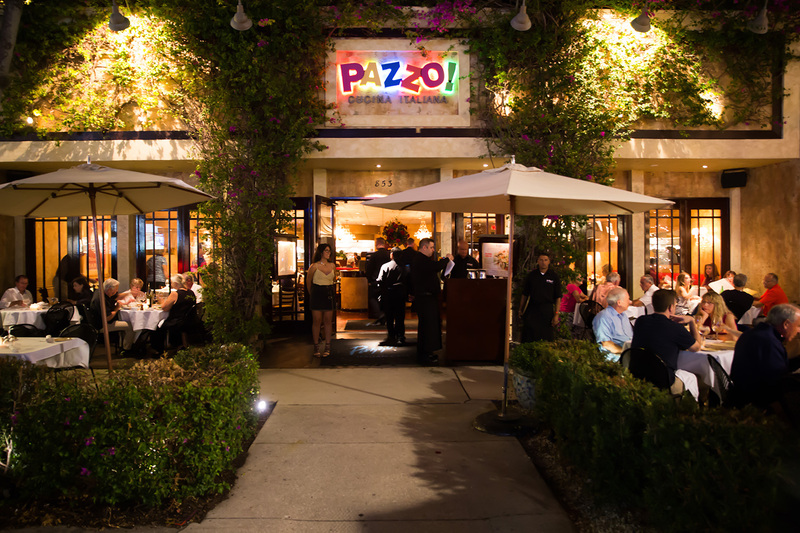 Long known to be Naples’ best place to be, Pazzo! offers incredible, yet affordable, Italian cuisine. Try our award-winning wine list, which offers over 250 selections, including our unbelievable selection of Italian wines, and 30 wines by the glass. Please visit the Pazzo! Italian Cafe website to learn more about this Naples Florida Restuarant.